The research station is located in the northwestern part of Sweden in the province of Västerbotten. The station is surrounded by 2500 ha of research land including forests, mires, lakes, and running waters. Since 1923 the area has been used for research only. Mixed coniferousCone-bearing, as in coniferous trees such as pines and firs.... More forest dominate the experimental site and the bedrock consists almost entirely of gneiss. The dominating type of soil is moraine of various thickness. SLU and the Faculty of Forest Sciences have the mandate from the Swedish government to take national responsibility for forestry related research. 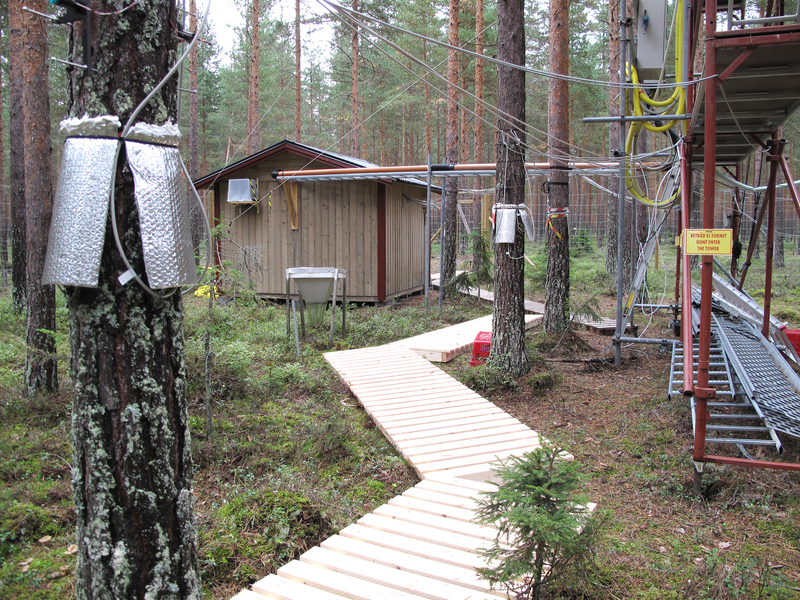 To do this, SLU has four field stations, including Svartberget, with year around staff.The research station is located near Vindeln, 60 km west of Umeå, close to The Vindel River, which is a protected national river free of hydropower dams. The climateThe average weather we would expect over a long period of time (seasons, years, decades). Climate varies from place-to-place across the Earth. Climate is determined by long-term (over at least... More is characterized as a cold temperate humid type with persistent snow cover during the winter season.The region is in-between coastal climate and inland climate. Moose are frequently observed and brown bears, seldom encountered, lives in the area. The region is a winter grazing area of reindeer herding. The research station was established in 1923. The current field station was built in 1979 and offers laboratory facilities, offices, internet, power tool workshops, and equipment for instrument calibration. The laboratory are equipped with refrigerator, ovens, freezers and scales. The field station also holds a lecture room for up to 20 persons. High power electricity and fibre-optical cables for communication are distributed in the field at 15 sites in the forest, along-side lakes, streams, and mires for close field access and use. The station is equipped with snowmobiles, four-wheelers, sky-lift and mini forwarder. The field research infrastructure includes a number of closely integrated, long-term field research programs that individually offer state-of-the-art experimental platforms, empirical data, and field opportunities, but combined will provide the most well maintained, equipped, and accessible opportunity for experimental and process-based research in the borealNorthern, from Boreas, the Greek god of the north wind.... More region. These include: Swedish ICOS (Integrated Carbon Observation System), Degerö Stormyr, Krycklan Catchment Study, the reference climate program at Svartberget, and unique long-term nutrient manipulation experiments such as Flakaliden, Norrliden, Åheden, Rosinedal together with about 800 long-term forest management experiments of the Faculty of Forest Sciences at SLU. Living accommodations of different standards and dining are available for visiting scientists in the small town of Vindeln, 6 km from the station. Meals can also be prepared by the vising scientists themselves in the station kitchen. Vindeln has approximately 2500 inhabitants and offers grocery stores, gas stations, hardware shop, drugstore, district health care centre, kindergarden and school up to the ninth grade. There are several small villages along the Vindel river entire length (450 km). Forestry and manufacturing forest industries are essential parts of the sustainment of the area. Various outdoor activities like fishing, hunting, skiing, picking berries, collecting mushrooms and recreational use of nature plays a important roll for the local inhabitants. 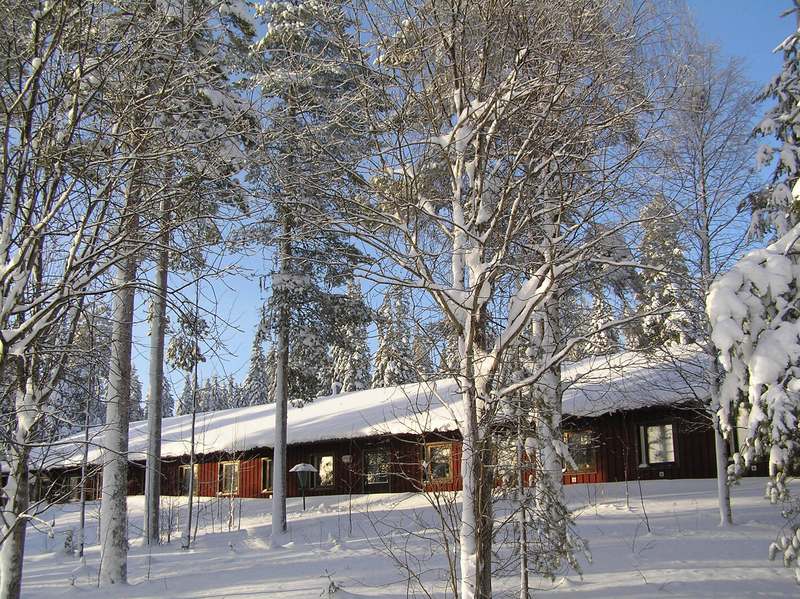 The research station is one hour drive from the Umeå airport and the two universities of Umeå; SLU and Umeå University. The research facilities are located 6 km north of the town Vindeln and can be reached via the local road system all year round. Vindeln can be reached by bus or train and the field station can at times provide transportation to and from Vindeln.